As a chamber musician, he has performed recently with his award-winning Amphion String Quartet at Alice Tully Hall as members of the Chamber Music Society of Lincoln Center's CMS II. 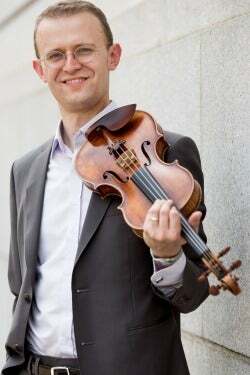 The 2018–19 season is his first as the newly appointed concertmaster of the New Haven Symphony Orchestra, and he will be featured in a performance of Scheherazade in the fall. 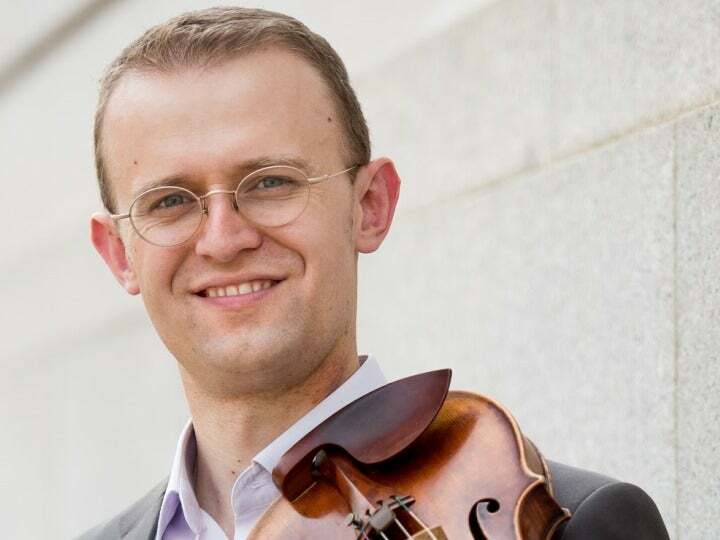 This year marks his seventh year as concertmaster of the Delaware Symphony; he continues his tenure as New Jersey Symphony Orchestra Assistant Concertmaster. As a soloist, Southorn has appeared with the NJSO, Delaware Symphony, Fremont Symphony, Portland Festival Symphony and the New York Classical Players, where his performance of Bach’s A-minor concerto has received nearly half a million views on YouTube. Based in New York City, Southorn performs regularly as an extra with the New York Philharmonic and has joined them on multiple tours recently to China, Japan, Taiwan, Vail and California. Southorn has performed as guest concertmaster with a number of orchestras, including the Incheon Philharmonic (South Korea), Miami Symphony Orchestra, New Haven Symphony and Tanglewood Festival Orchestra. Recent highlights in his chamber music career include performances with the Amphion Quartet at Alice Tully Hall, David Geffen Hall, Carnegie Hall, Chamber Music Northwest, La Jolla Summerfest, the Tilles Center, The Library of Congress, BargeMusic, Caramoor, Kneisel Hall, Seoul Arts Center and The Phillips Collection in Washington, DC, among many others. He has collaborated with such esteemed musicians as Anne-Marie McDermott, Carter Brey, Ani Kavaﬁan, David Shifrin and Edgar Meyer, as well as the Tokyo String Quartet. The Amphion Quartet’s recording with Nimbus Records was selected by The New York Times as a Best Classical Album of 2015. They have won a number of awards including the Concert Artists Guild competition, first prize and audience award at the Plowman Competition and first prize at the Hugo Kauder Competition. Southorn received a Bachelor of Music degree from the San Francisco Conservatory of Music, a Master of Music degree and Artist Diploma from Yale University and a Professional Studies Certiﬁcate from the Manhattan School of Music. HOMETOWN: I grew up in Portland and now live in New York City. MUSICAL INFLUENCE: I have been influenced musically by so many different people and experiences that it is hard to list them all. Most recently, the last seven years of playing with the Amphion String Quartet have had the biggest impact on my growth a musician. Playing regularly with the New York Philharmonic for the last few years has also been an incredible experience. PRACTICE ROUTINE: I usually always start with scales, then I often like to move into a little Bach (even if only for a few minutes). Then, it’s a matter of priority and what music is coming up first. It is usually a combination of orchestra music, chamber music and solo works. MOTIVATION: Having the opportunity to play incredible music on a daily basis for a living is my motivation. I owe it to the composers for giving us great music and the audiences who keep coming to hear us to always prepare and constantly improve as a musician and violinist. ADVICE FOR YOUNG MUSICIANS: Most importantly, enjoy yourself and have fun! Playing an instrument is never easy and requires constant dedication, patience and practice. However, the thrill of playing music you love at a high level for enthusiastic audiences is a feeling that makes it all worth it. I can’t stress enough how important it is to work on scales and technique early on as that will give you a foundation to be successful. Also, slow practice will actually help you learn a piece much faster and better. WHY MUSIC MATTERS: Music matters to me for so many reasons. Simply put, it makes our lives better. I’ve played for those who are sick and in the hospital, and I can see that it brings healing and joy to their lives when they need it most. I have played for elementary students who’ve never heard classical music and am inspired to see how thrilled they are hearing a composer like Bartók or Beethoven for the first time. Music brings people together, lifts spirits and enriches our lives. I feel that my life matters largely because of music. INSPIRED BY: Through my life I’ve been inspired by incredible performers and teachers. I’m inspired on a daily basis by all the different fantastic colleagues I get to collaborate with and the music that I get to perform every week! BEST CONCERT YOU EVER WENT TO: There are too many “best” concerts to count. Hearing the Berlin Philharmonic for the first time at Carnegie Hall and the Hagen String Quartet play all-Beethoven concerts at the 92nd St come to mind first. MOST UNFORGETTABLE MUSIC MOMENT: Among my most unforgettable moments were playing Dvořák’s Eighth Symphony as concertmaster with the Tanglewood Orchestra and James Levine, performing recitals at Carnegie Hall and Alice Tully Hall with my quartet, and most recently playing Beethoven’s Violin Concerto as soloist for the first time with the Fremont Symphony. FAVORITE THING TO DO ON AN OFF-DAY: Go on a bike ride through Central Park or along the Hudson. I love golfing as well. FAVORITE DAY OF THE YEAR: The first day of summer vacation! FAVORITE SPORT: I like playing golf and watching baseball. BEST THING ABOUT NEW JERSEY (BESIDES THE NJSO! ): Great Korean food in Fort Lee! FAVORITE DRINK: There is nothing better than a glass or two of good red wine at the end of the day. THE ONE THING YOU WOULD NEED ON A DESERT ISLAND: A fully charged satellite phone. IF YOU WEREN’T A MUSICIAN, WHAT WOULD YOU WANT TO BE? It would be fun to play golf for a living (if I didn’t have a 30 handicap)!